Your love for JVN51320 is no illusion! The halter top of this dress is covered in studded swirls of embellishments over the complete illusion panel that creates the top. The keyhole slit on the top leads into the waistline where embellishments trail onto the jersey skirt. The back is also an illusion panel covered in embellishments with a very slight sweep train below. 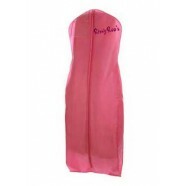 Wear this gown to your next prom, pageant, Sweet 16, or wedding event!